Bob took this lovely photo on 12th November showing our lake in the glorious autumn sunshine. As you can see, the water levels have risen quite a bit over recent times. 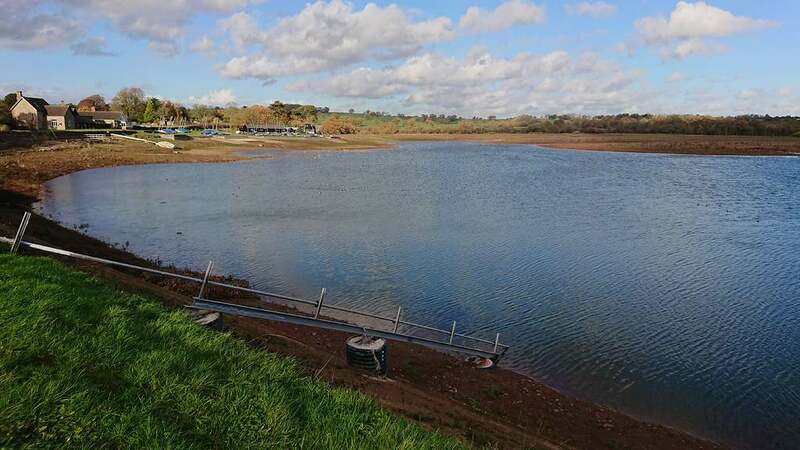 Bob estimates that the rate of rise is around half an inch per day, helped by the opening of valves at Cofton Lake which is speeding things up quite a bit. Although there's a long way still to go, we are optimistic that we will be able to resume sailing early in the New Year. Keep your eyes open for more updates.